A very cute fan at the press conference asked the 19-time Grand Slam Champion why he often referred by the nickname GOAT (Greatest of All Time) even though there is not a lot of livestock in his native Switzerland. 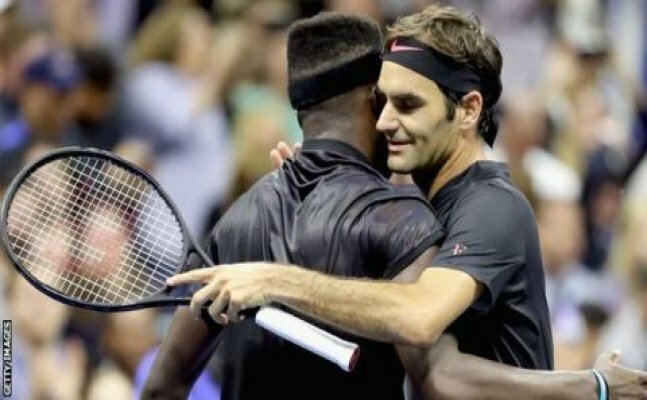 Five-time champion Roger Federer survived the onslaught by American teenager Frances Tiafoe to register a win in the first round of the US Open at Flushing Meadows. The 19-year-old pushed the Swiss to the extreme, made him drop two more sets than he did during his entire two weeks en route to the Wimbledon title. The 36-year-old Swiss won 4-6 6-2 6-1 1-6 6-4 in his first even match under the Arthur Ashe Stadium roof. Incredibly gracious in defeat - @FTiafoe. The Swiss drew on all his experience to quell Francis after dropping the first set and bounced back to seal the victory, keeping his hopes for a 20th Grand Slam crown alive. Earlier, a very cute fan at the press conference asked the 19-time Grand Slam Champion why he often referred by the nickname GOAT (Greatest of All Time) even though there is not a lot of livestock in his native Switzerland. Federer laughed off the question before responding that he wasn’t sure.